NetEnt offer both an online gaming platform and their own unique range of NetEnt Touch mobile casino games, however one word of advice if you do wish to play at a casino site using their range of casino games is for you to opt to play via their online gaming platform, as that has many more Blackjack game variants on offer on it than their mobile gaming platform does. 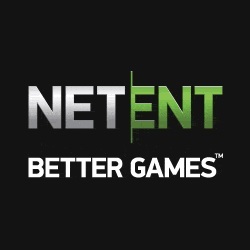 NetEnt’s online gaming platform is one which has been designed as an instant play platform, and that does of course mean that by opting to play at any casino site offering their range of games you are not going to be forced to download an entire gaming platform onto your computer. You will find their instant play, no download gaming platform works with any web browser and as such you launch and load their games into the web browser and play them from within it. 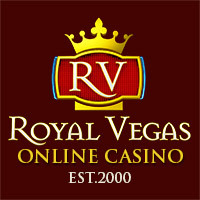 You will of course have access to both free play Blackjack and other casino games when playing at any NetEnt powered casino site, bit when you do wish to play Blackjack for real money at those sites you will find a large and very diverse range of table stake options and as such if you like to play for low, medium or even very high stake amounts you are always going to be guaranteed of finding a blackjack game that can be configured to the stake amounts you wish to play for with no problems what so ever. You will find listed below an overview of all of the currently available NetEnt designed Blackjack game variants. As you would expect each game does have its own set of player and dealer rules and when playing any of these variants perfectly you will find the house edge attached to them is displayed below, however to achieve anywhere near that house edge you are going to need to play off every single hand dealt out to you perfectly using the correct basic strategy for those Blackjack game variants. One other thing that you should factor into any online Blackjack playing session you have at a NetEnt software powered online casino site is that each casino site is always going to make available to you all manner of different bonus offers, from both new player sign up bonuses to ongoing bonuses. You can often lock in and secure a lot of value by making use of those bonuses, but always familiarize yourself with any rules and terms and conditions attached to any bonus offer you are considering taking. Blackjack comps are also given away in large numbers by all NetEnt software powered online casino sites, and as such you are going to find that you can secure even more playing value when you choose to play at a casino site offering a more generous comp club. So before you sign up to play at any NetEnt software powered site always find out how their comp club has been structured and also find out what bonuses you will be able to make use of at those sites. Pro Blackjack – You will be able to play Pro Blackjack at NetEnt powered online casino sites and by doing so you will be playing a game on which the house edge can be as low as 0.40% when you play this game optimally. This variant has four decks of cards in the shoe and the dealer peeks on aces and stand all soft 17 hands. A player is able to double down when dealt out any two initial cards and will then be able to double down when they have chosen to split a pair of cards no surrender option is offered on this blackjack game. Standard Blackjack – The Standard Blackjack game available at NetEnt powered casinos has four decks of cards in the shoe, and when played optimally you will get the house edge down to a low 0.0.40%. When faced with a hand worth a soft 17 or high valued hand the Dealer will stand those hands. This Standard Blackjack game is a hole card game and players can double down on any two cards that have been dealt out to them, and players are going to be able to double down after they have split a pair of cards. Single Deck Blackjack – 0.48% is what you can get the Vegas Blackjack games house edge down to if you play this game with perfect strategy in place. This game is another Blackjack game variant from NetEnt which offers no surrender options and has just one single deck of cards in the shoe. The Dealer plays any hand worth a soft 17 by hitting those hands, and will peek as this game is a hole card game. Players will be able to double down on any two initial cards worth a hard 10 or 11 and cannot double down when they have split any pair of cards. Pontoon – Six decks of playing cards are in the Pontoon game variants shoe and this game can be a game offering a house edge of 0.41% if you put into play the best playing strategy. Getting dealt out a soft 17 will see the dealer then hitting those hands, and players will see the dealer peeking as this game is a hole card game. You can double down on any two initial cards that have been dealt out to you and players can also choose to double down even after they have split a pair of cards.